We want to help you start your new church healthier and more effective than you thought possible! We are so serious about helping you that we would like to give you over $149.00 in Church Planting Resources from Church Leaders Insights and Nelson Searcy. 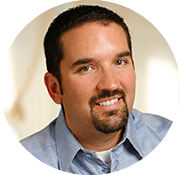 Hi, I'm Nelson Searcy, Lead Pastor of the Journey Church and Founder of Church Leader Insights. I know church planting is difficult. Starting a new church is both a profound spiritual journey and a challenging entrepreneurial endeavor all at the same time. As a church planter myself and coach to hundreds of other church planters, I've discovered some battle-tested answered along the way - and I want to share these resources with you! My mission is to help you grow your church, develop as a leader and abandon average in your ministry. I've also written over 80 church growth resources and 14 books, and have coached over 2,100 pastors through my networks. You don't have to re-invent the wheel to plant a healthy, life-changing church! God's vision for your church's impact is far larger than yours. By learning to identify and avoid these mistakes in your new church, you can cooperate with Him to reach more people, faster than you ever thought possible! Every Church Planter needs to know they are called by God to plant a church. But how can you know for certain? In this downloadable resource, Nelson Searcy will help you discover your unique call. Church Planting is an expensive venture. With this downloadable resource from Nelson Searcy, you will learn how to develop a proposal to attract the attention of partnering churches, how to determine which churches to approach for funding, and other ideas about how to fund your new church plant. Church Planting is a heroic venture and those who are called to attempt the challenge are in for a multi-faceted and often overwhelming challenge. Don't allow the size of the challenge to dictate your attitude, instead choose to look at the size of your God and the impact He wants to make through your new church! You can launch a new church much faster and larger than you think. Learn how in this resource by Nelson Searcy! Starting Small Groups from scratch is one of the most challenging experiences for any church planter. Here's some straightforward advice from the trenches on what to do and what not to do! One of the toughest questions any Lead Pastor or Worship Pastor will face is how to start a Worship Arts Ministry in their church. In this resource, Nelson Searcy and Jason Hatley provide insights from the lessons they learned in building the Worship Arts Team at The Journey Church. JUST COMPLETE THIS SIMPLE WEB FORM BELOW TO RECEIVE YOUR FREE CHURCH PLANTING RESOURCES ($149.00 VALUE) THROUGH IMMEDIATE DOWNLOAD! Jump start your ministry and join a community of pastors who are all committed to abandoning average! Test drive Nelsons Renegade Pastors Network for just $1.00 for the next 60 days (a $1,011.20 value with $813.20 in immediate free bonuses)! PLUS get a FREE copy of your BRAND NEW hardcover book, The Renegade Pastor: Abandoning Average in Your Life and Ministry! 2901 Clint Moore Rd. #316 Boca Raton, FL 33496 P: 561-921-8488 Copyright © 2015, Nelson Searcy. All Rights Reserved.